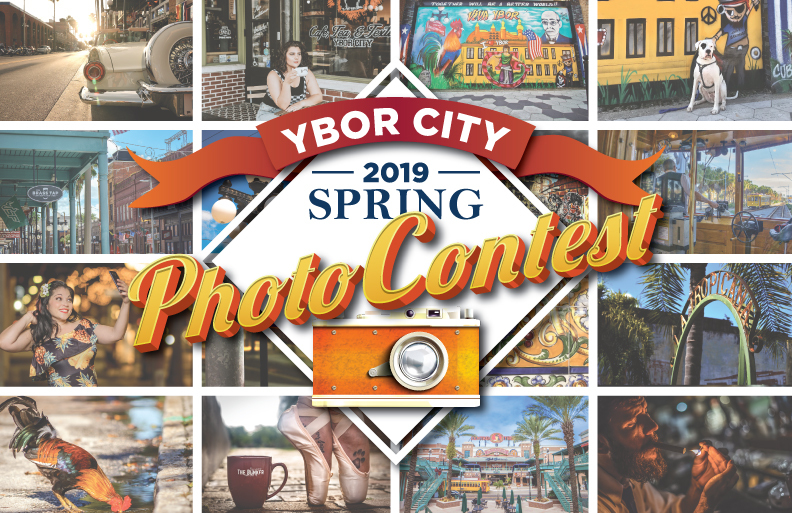 TAMPA, Fla. (March 29, 2019) – The Ybor City Development Corporation (YCDC), in search of striking Ybor City imagery, announces the launch of the Spring 2019 Photo Contest. Photographers of all ages, backgrounds and experience levels are encouraged to enter up to five of their favorite personally-taken photographs in the categories of Events, Transportation, Interior Spaces, Abstract and Conceptual. Please be aware that any individual that is clearly visible in the submitted photograph will need to have signed a release form. Within each category, there will be one winner and up to five recognized photographers. Judges are looking for good composition, creativity and clear imagery. Judging will be based on a single image, not a series of images submitted. The list of each category’s selected photographs will be announced prior to June 8 and the overall winner will be announced June 20. Winners within each category will be notified by email and will receive a package that includes a variety of prizes from Ybor City merchants. Both winning and recognized photos will be displayed at YborCityOnline.com, YCDC social media and other marketing channels. Category winners also will be exhibited in the YCDC office. The contest is free to enter from now through midnight on May 31, 2019. Ybor City, only one of two nationally recognized landmark districts in Florida, has a unique background and diverse cultural heritage. The district is flourishing with culturally inspired architectural buildings and an eclectic mix of businesses and restaurants. Over the past 20 years, the district has undergone significant economic development and investment while also maintaining its historic charm. Ybor City Development Corporation works to stabilize the district by securing the future of its historic structures and community and is a catalyst in rehabilitating deteriorated properties with architectural merit, creating jobs, and improving the district’s overall livability. Their mission is to enhance Ybor City’s development, redevelopment and economic revitalization.